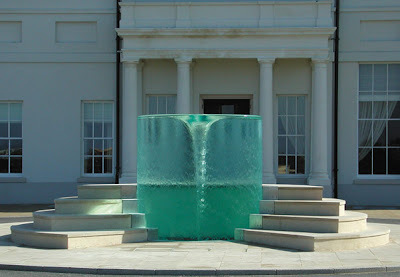 This amazing water vortex sculpture made by William Pye is called Charybdis, and it is located in Seaham Hall, Sunderland, UK. 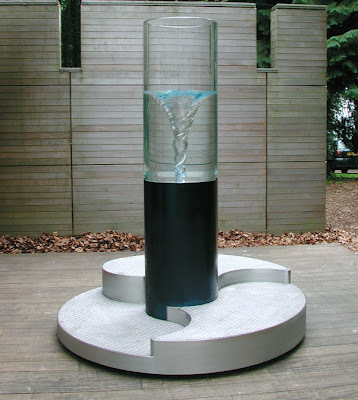 "In Charybdis the circular movement of water inside a transparent acrylic cylinder forms an air-core vortex in the centre. 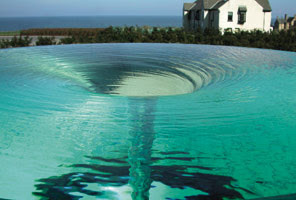 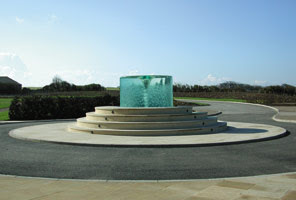 Steps wrap around the cylinder and allow spectators to view the vortex from above. 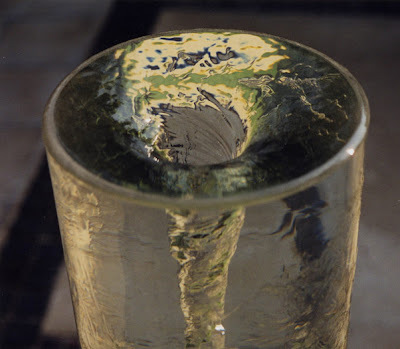 The cylinder was manufactured in Grand Junction, Colorado. 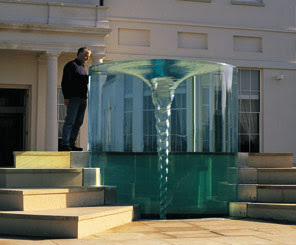 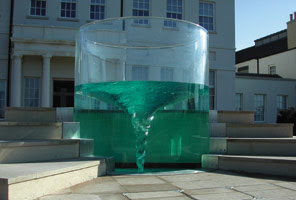 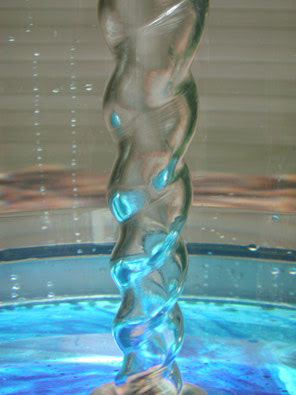 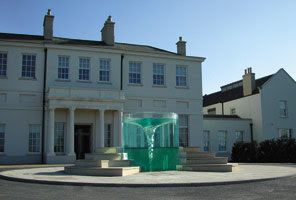 Charybdis is William Pye’s largest vortex water sculpture to date, and he has used for only the second time the clear acrylic polymer he employed in Clearwater Cube. 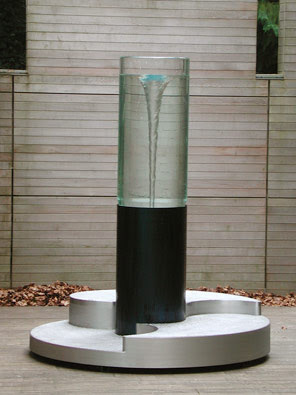 This material has enabled Pye to extend his sculptural language and to explore more ways in which to challenge the wayward element of water. 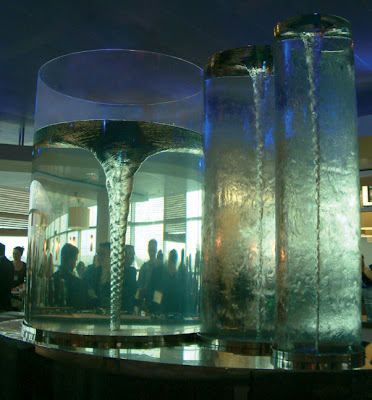 A high level of water filtration is essential for maintaining transparency and thereby expressing the drama of the vortex."